I have a love/hate relationships with cats. I love cats, but my immune system hates them. Thus is the tragic tale of a childhood secretly sneaking out to play with neighbourhood cats and getting in trouble with mom when I got really sick. Luckily, I have learned nothing from my childhood and still pursue my feline happiness, so imagine my reaction walking down the streets of Istanbul, SURROUNDED by cats. 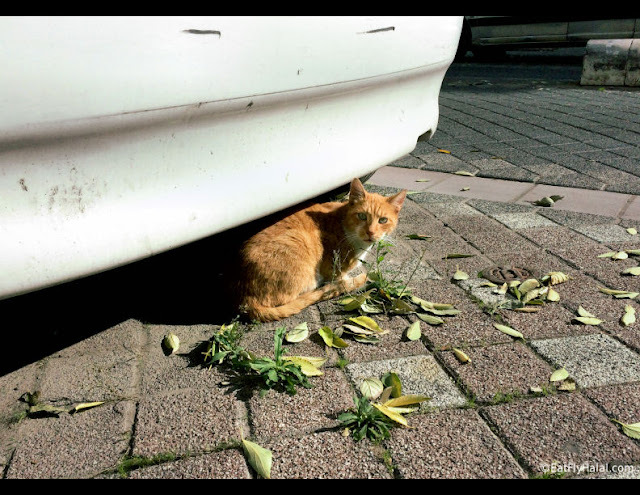 I made a point of collecting cat portraits and videos because the residents of Istanbul take care of these stray cats so well. They're all pretty desensitized, and also for some reason, incredibly photogenic. Here's a little collection of cat portraits and stories from our trip to Istanbul. ONWARD TO CATS! 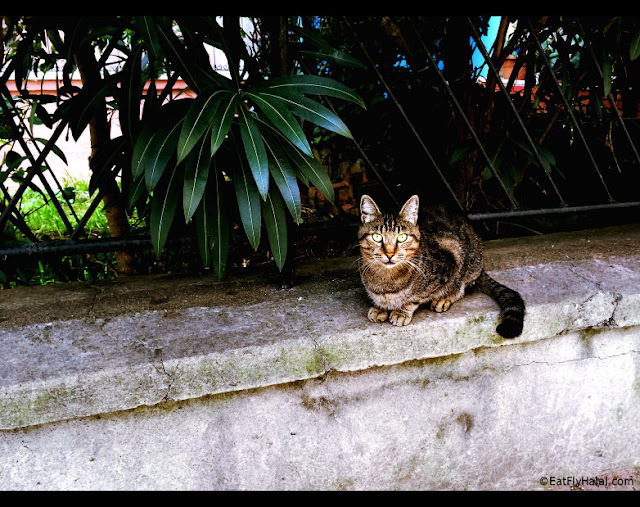 We found this cat while walking down the cobblestone streets of Istanbul near the Hagia Sophia, who scurried up a tree to get a better look at us. Won't you jump into my arms and be my cat? On our way back to the hotel, we turned a corner and just randomly discovered 5 kittens jumping and playing on a street corner under the watchful eye of mom. Can you see the big plastic container turned into a shelter and bowls of food and water? These are all over the place! Sometimes you find the best things by accident, and cats was one of them. We had headed to the Asia side of Istanbul to explore and took a couple of wrong turns, ending up completely lost. 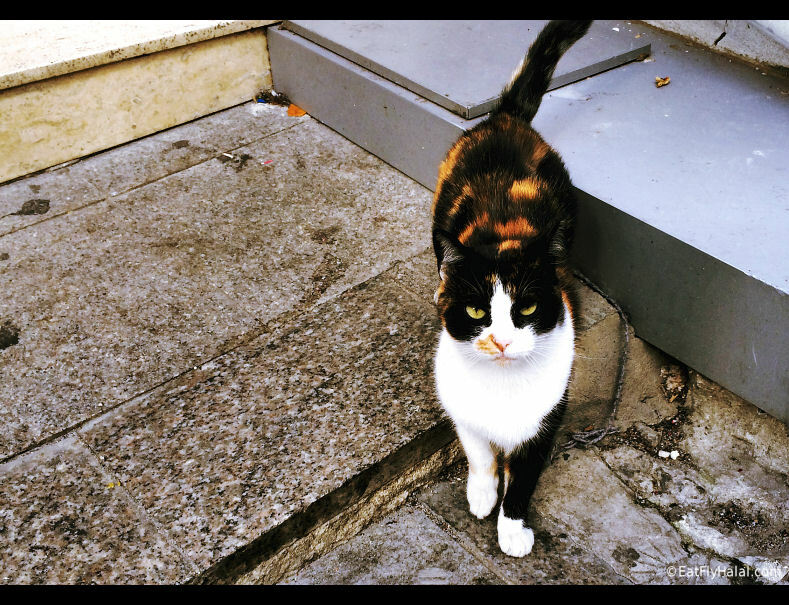 Well, I had never been happier to be lost because we randomly discovered a street with just.. a lot of cats. They were growing in the garden, they were crossing the street, they were snoozing on ledges, it was amazing. And so many colours! Wish I could've taken this guy home, he pulled the perfect pose. 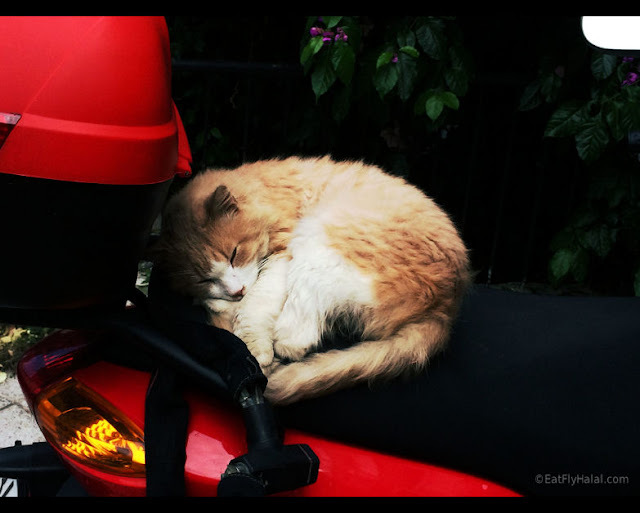 After a long day of zooming down the streets of Istanbul, who would blame this fluffy guy from curling up for a snooze on his motorcycle? Jokes aside, electric scooters and motorcycles are commonly parked all over the side walks, and a lot of the time you will find a cat sleeping on one. So cute! This is by far my favourite cat in all of Turkey. After I called him over, he slowly approached with the meanest look in his eyes. Well, I guess he can't help it, but come on, look at that face! And those colours! Love it. This is just behind the main doors of the Hagia Sophia. We had just come out and lo and behold, I saw some guy petting this cat. Well, I had to get in on that. I had refrained from petting cats before this in Istanbul because I didn't know how wild they were, but this cat was accepting pets and I wasn't leaving here without petting this cat. Despite warnings from my husband I went to gently pet this guy on his head. Everything was going well.. and then the tail started flicking. I was like.. hey, it's okay so far, so I kept at it. Without warning the Beast reared its furry head, and with a cry of fury it struck down with a lightning-fast swipe of its gleaming claws. I looked at the scratch on my hand, picked up my trampled heart, and paid 1 Lira to use a washroom to wash my hands before the scratch turned into a welt. Sigh. "Ugh guys, I've been fed so much cat food that I can't finish it all so I have to stand here and guard it." 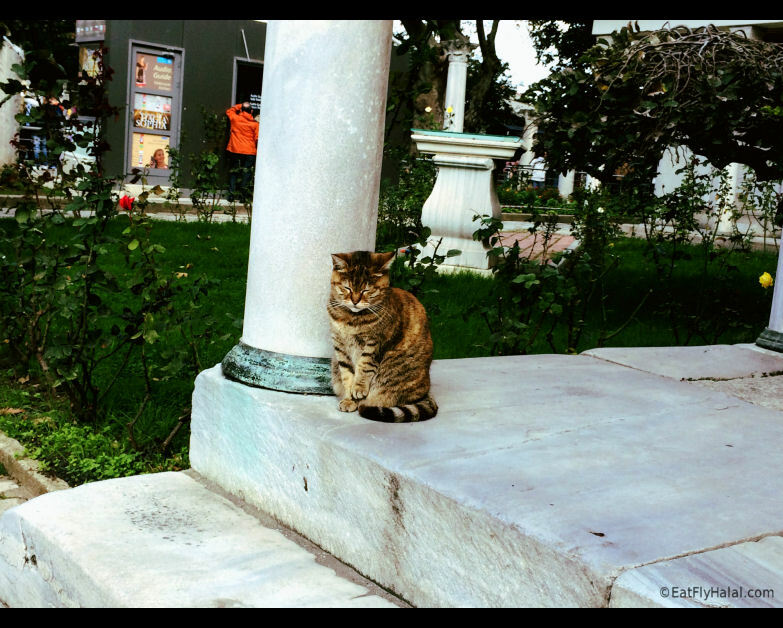 Yup I'm telling you, the animals of Istanbul are honestly incredibly well cared for. I've seen a lot of stray cats but the cats here looked so clean, fed, and happy. There's pet food all over the place. 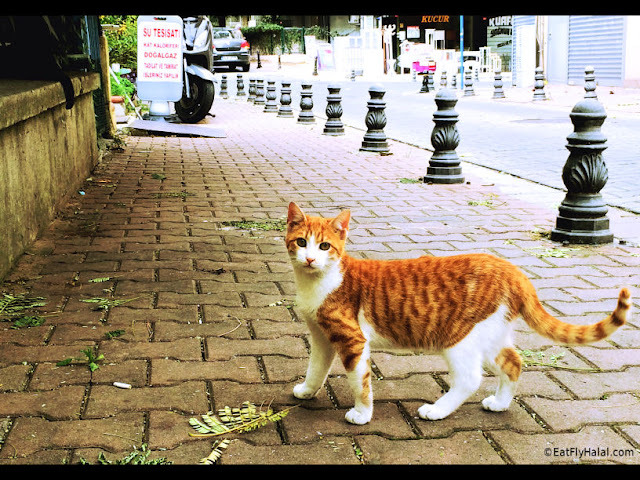 This girl was prancing around the Cat Street on the Asian side of Istanbul with a little kitten following her around. On her noticing of us, she jumped up on a ledge and stared, sort of as to say "Come here, I will be your friend." Well, I was so traumatized by the cat now known as The Beast that I didn't take her up on the offer, buuut I got a couple good shoots of her beautiful piercing bright eyes. This was another interview with a cat on the Asian side of Istanbul, who was perfectly curled up under a car and soaking up the sun. 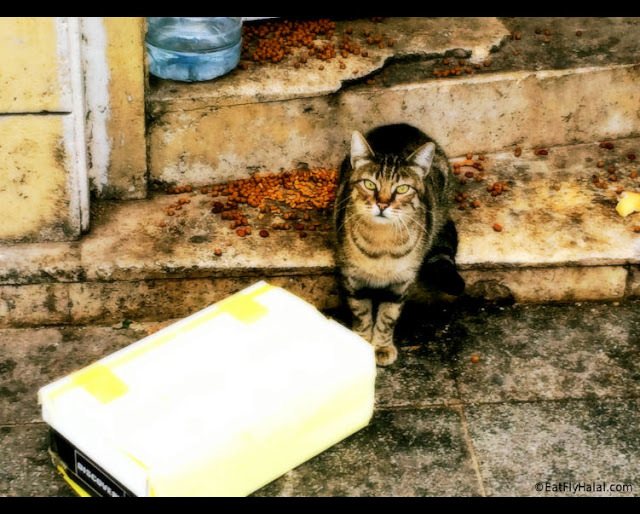 One thing that struck me is how all the cats I had seen here will lock eyes with you. It's like they know something. So we had just sat down at Meshur Eminonu Balikcisi to eat one of the famous fish sandwiches that are sold from boats along the canal when I saw a blur of brown fly under mine and my husband's feet. Upon closer inspection the blur was actually cat pressed flat against the ground, expertly stalking a bunch of birds who were pecking at pieces of bread. We watched in anticipation to see his next move when.. a bunch of people interrupted his efforts. Poor thing. 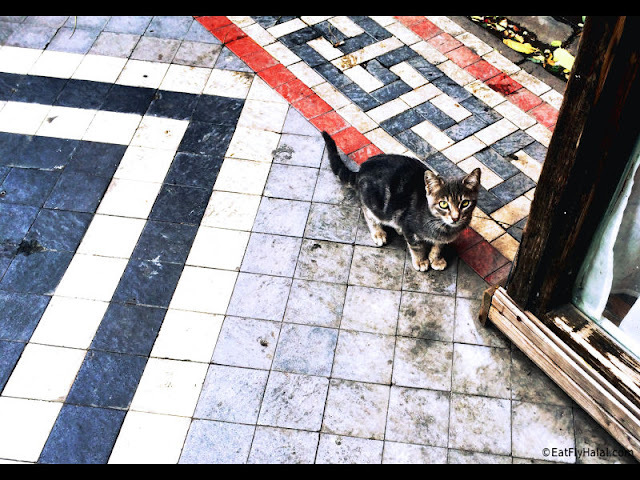 We found this kitten in an art district on the Asian side of Istanbul, who had this face that makes you want to take out your wallet and give it all your money. Fortunately, I didn't do that because I had a lot of food to try. We hope you enjoyed this post! :D If you liked it, please share it on Facebook! Be sure to check out our World Trip Directory for other cool posts from Turkey and our recent trip!